The Ethiopian Airlines Boeing 787 that caught fire in London this summer will soon fly back to Addis Ababa, a flight both companies surely hope will take them closer to the end of 2013, an "annus horribilis" if there ever was one. 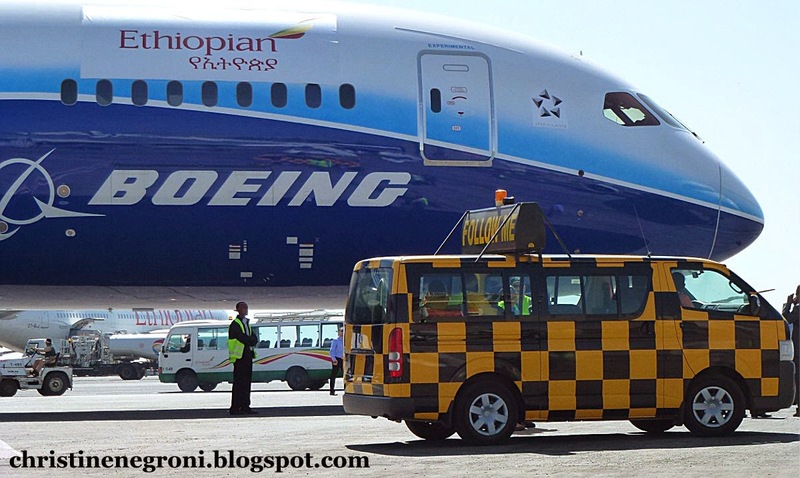 Boeing's not talking but Tweolde Gebremariam, Ethiopian's chief executive officer said that repairs to the plane's aft fuselage and tail section are nearing completion. This comes less than six months after the July 12th event in which a blaze above the ceiling of the back passenger section burned through to the exterior of the plane. At the time, ET-AOP was parked away from the gate at Heathrow Airport, awaiting its 9:00 pm flight back to Addis. No one was on board when smoke was seen emerging from the top of the airplane. At a Star Alliance get together in Vienna on Thursday night, Gebremariam told me the plane could be ready to fly before the end of the year. "Why not?" he asked when I expressed my astonishment at how quickly ET-AOP might return to service. 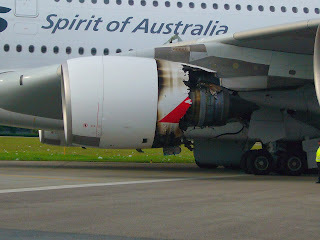 Well, for one thing, I was remembering the Qantas Airbus A380 that suffered an uncontained engine failure in November 2010. That plane was on the ground undergoing repairs for 17 months before it flew back to Sydney in April 2012 and into passenger service. There's a difference in the amount and nature of the damage on these two planes. The A380 that was Qantas Flight 32 had ruptured engines, holes in the wings and fuselage and ripped wiring from the pieces of the Rolls-Royce Trent 900 engine that spewed out, up, down and sideways. The fire on Ethiopian's Queen of Sheba was confined to the aft fuselage and tail sections. Still, as Dominick Gates reported in the Seattle Times, the composite structure presented a number of issues. Boeing considered several options before it decided to patch the plane with a full rear fuselage produced by the 787 factory in Charleston, South Carolina. 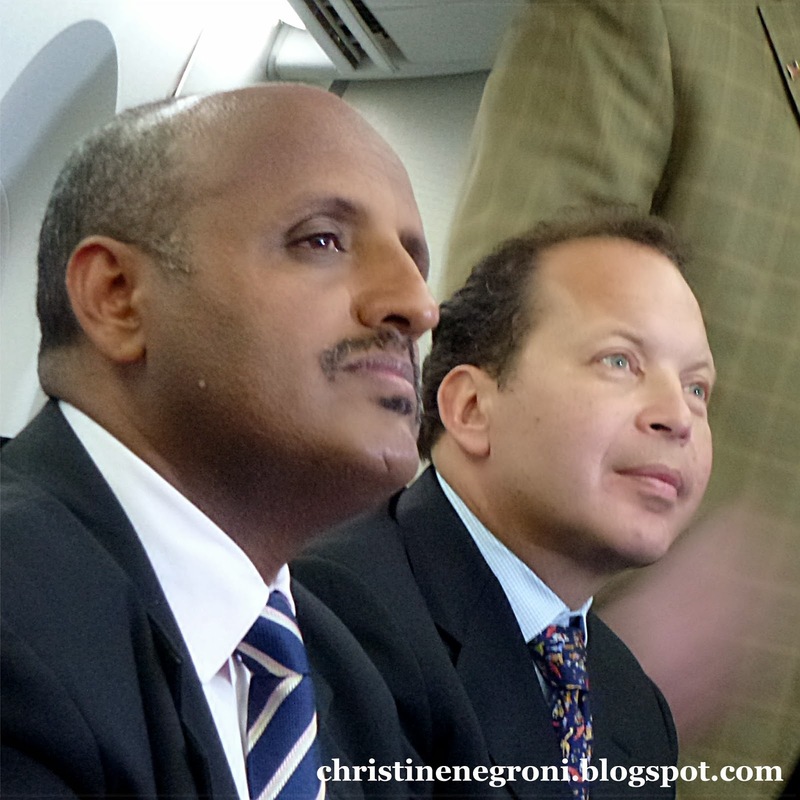 That all sounds like a lot of work, which is one reason I had to place my hand on my chin and put my jaw back in place during my conversation with Gebremariam, which included my asking him if his confidence in the plane had been shaken. It's not the first time I've asked him that question and once again he waved off concern by saying the Dreamliner is a good plane. Gebremariam has made a habit out of acting magnanimous about Boeing and its troublesome Dreamliners. After the plane was grounded from January to April 2013 due to mysterious fires on two planes operated by Japan Air Lines and All Nippon Airways, those two Japanese carriers held off on re introducing the 787 into service while they did their own analysis. Not Ethiopian, though. In exchange for being first in line for installation of the super-duper battery fire containment box for its Dreamliners, it happily became the first airline to resume flying the planes on - you guessed it - the Addis to London route. Ten weeks later, ET-AOP developed a smoking hole and there in London she remains today. While all this is going on in London, over in Warsaw, LOT Polish is also feeling cheerier about Boeing. According to Polish columnist Danuta Walewska who writes for the publication, Rzeczpospolita, LOT has come to terms with Boeing over the money LOT lost when it had to cancel flights during the 787's grounding. The country's minister of privatization, Wlodzimierz Karpinski told Danuta that "we are very satisfied and our demands and expectations were fulfilled" by whatever the two entities came up with behind closed doors after months of very public complaining by the Polish government, which owns the airline. Karpinski said the details will not be made public and the settlement is not being called "compensation", though there's a reported $33 million in credits on LOT's side of the ledger in the accounting books at Boeing. It is "proof of partnership" and a "responsible attitude by Boeing," the minister said. In the Christmas wonderland that is Vienna in December, I am reminded of this season in 1992 when the Queen of England described a year in which two of her children got divorced, the royal family laundry was aired in Princess Diana's tell-all book and a fire damaged Windsor Castle. She described it all as her "annus horribilis." Of the Queen of Sheba, Boeing spokesman Doug Alder will confirm nothing. 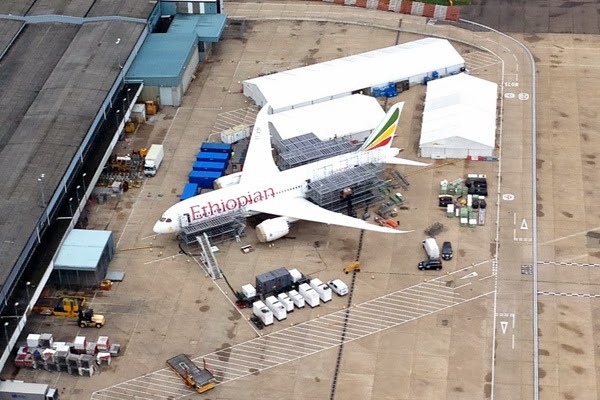 But if Boeing can get Ethiopian's Dreamliner out of England and back in the air before 2013 is over, it might be seen as a harbinger that the Dreamliner's own annus horribilis might be coming to a close. This article implys the fire in the aft section of the Ethiopian 787 is another indictment of the electrical system. It was in fact a completely independent incident caused by a flawed part supplied by a third party and installed on many different models of Boeing (and presumably Airbus) aircraft. This poorly put together emergency locator transmitter that started the fire was not a Boeing product and certainly not exclusive to the 787. The 787 is, like most leading edge aircraft having entry into service issues. These will be resolved by Boeing as similar issues on other Boeing models have been, and as Airbus has resolved their entry into service issues. No one would argue that 2013 has been a challenging year for the Dreamliner. It started off with the grounding of the entire fleet after confidence was lost in the battery system. Would the modification to the 787 have been designed and implemented so quickly without the grounding? We will never know. The good news is that Boeing with the approval of the FAA put into place a fix that met the two primary objectives of all aircraft systems. First, a high level of reliability is projected and second, effective countermeasures are employed if the system has a failure. Machines are not infallible so the FAA mandates that there be countermeasures in place so that system failures do not result in the loss of the aircraft. Why is that standard not required of the crews that fly those airplanes? Humans are even more fallible than machines. The data is irrefutable. Yes, the level of human performance is very high, but not perfect. So why are there not effective countermeasures required to prevent the loss of the aircraft when there is human failure? Do we need more black boxes? Who is ultimately responsible for a safe operation, the human or the machine. In the same annus horribilis of 2013 there were at least 3 such examples of human failures, two fatal hull losses and one giant embarrassment. 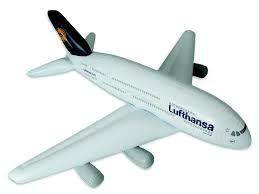 I am referring to Asiana 214 at SFO, UPS 1354 at BHM and the Dreamlifter landing at Jabara, Kansas. Should the entire commercial fleet stand down until we can come up with a higher level of human reliability and more effective countermeasures so that when there is failure, the aircraft can still land safely?